This guide explains how to enable test ads in your ads integration. It is important to enable test ads during development so that you can click on them without charging Google advertisers. If you click on too many ads without being in test mode, you risk your account being flagged for invalid activity. Use one of Google's sample ad units. Use your own ad unit and enable test devices.  If you want to do more rigorous testing with production-looking ads, you can now configure your device as a test device and use your own ad unit IDs that you've created in the AdMob UI. Follow the steps below to add your device as a test device. iOS simulators are automatically configured as test devices. Load your ads-integrated app and make an ad request. Copy your test device ID to your clipboard. Modify your code to set testDevices on your GADRequest with your test device ID. This method takes an array of device IDs. Be sure to remove the code that sets these test devices before you release your app. For native advanced ads, the headline asset is prepended with the string "Test Ad". 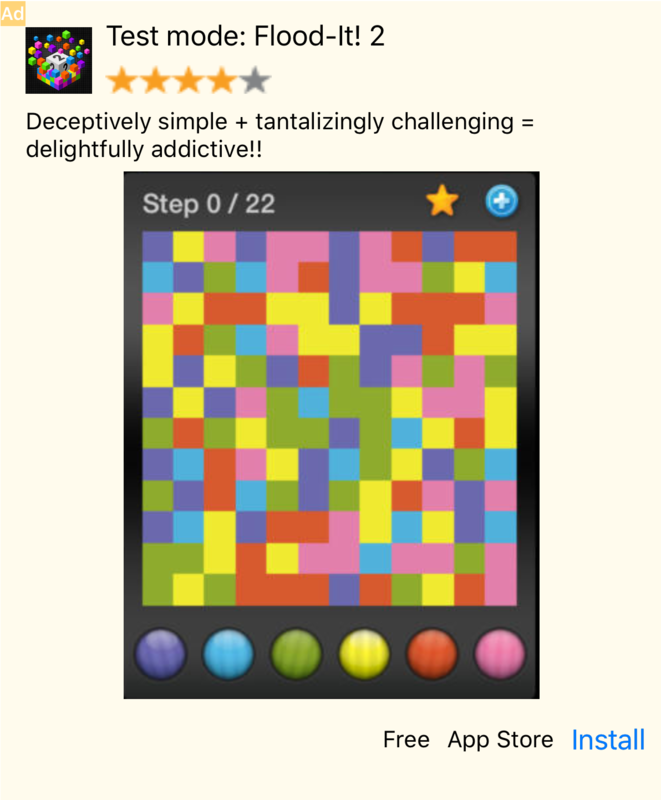 Ads with this Test Ad label are safe to click. Requests, impressions, and clicks on test ads will not show up in your account's reports. Note: To see the Test Ad label, you need to be using an SDK version of 7.26.0 or later. Note: Mediated ads do NOT render a Test Ad label. See the section below for details. Google's sample ad units only show Google ads. To test your mediation configuration, you must use the enable test devices approach. Mediated ads do NOT render a Test Ad label. You are responsible for ensuring that test ads are enabled for each of your mediation networks so that these networks don't flag your account for invalid activity. See each network's respective mediation guide for more information. If you aren't sure whether a mediation ad network adapter supports test ads, it is safest to avoid clicking on ads from that network during development. You can use the adNetworkClassName property on any of the ad formats to figure out which ad network served the current ad. Last updated September 7, 2018.